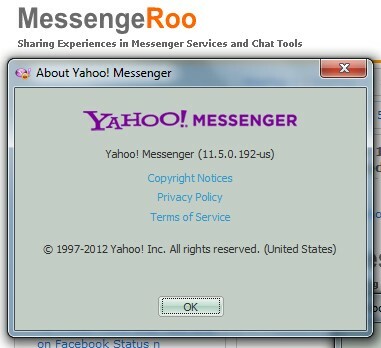 I just checked my Yahoo Messenger and then noticed that right now the newest version of Yahoo Messenger 11 is available. It been said that the current available version is the version 11.5.0.155 (the Update for version 11.5.0.192 now available. FYI, this update would allow you to show/hide the “Recent Contact list view” via “Contacts” Menu). This news definitely right because it also been said also at the official of Yahoo Messenger Blog. According to this official blog, the newest version 11.5 has a capability to create tab windows Instant Message (Tab-IM). The Tab IM is placed on the bottom of the windows IM. For the quick look overview, it can be seen from the picture below. 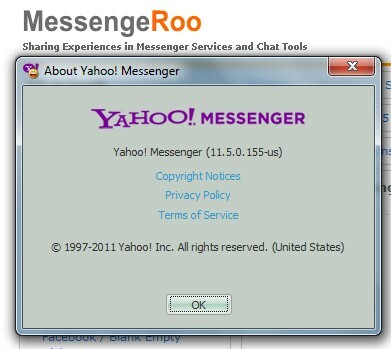 Another big difference from the previous version 11.0.0.2009 is that the 11.5.0.152 bring all the emoticons which available on Yahoo Messenger. This means that there is no more Hidden Yahoo Messenger Emoticons. No more to remember the hidden shortcut keys and code. Smart Archiving, Snap and Share to get easy shared screen shot computer screen with your friends, and more colors in chat conversation, Romanian language added, new social games, change to make easy access on recent added contacts, and improving for spam management. We are working on finding the download link for the offline installer / standalone installer, but it seems pretty hard to get it. Update: OK finally I was able to find the proper download link for YM 11.5 offline installer. Just download from the link below. Due to it a quite huge file installer, we recommend you to download via Download Manager, especially if you use poor internet connections. Enjoy!